It’s been awfully quiet here lately, I know, I’m sorry. But I’m back and will be working through my backlog. What happened? Well, two big events took all my spare time. Our volunteer committee of Brisbane food bloggers, which I was a part of, started working on Eat Drink Blog in February. It’s been a long and, at times, hard 7-months-long process, but we pulled off a great event. I can’t thank enough our sponsors and the greatest, hardworking team – I’m very glad to have been part of it. In the month leading to EDB conference, on top of organising it, I was also juggling weekend trips down to Melbourne, apartment hunting, working my day job, packing & selling stuff from our Brisbane apartment and doing some sort of forced “long distance relationship” with my husband. Doesn’t sound easy and believe me it wasn’t. I think though, my organisational skills grew a lot in the last months and I was able not only to survive the big EDB weekend, but also successfully arranged our interstate relocation…which happened 1 and a half day after the conference. There was a scary moment, when I ran out of boxes, bubble wrap and packing tape late at night, while still having lots of things to pack. Thankfully Officeworks opens at 7am and movers didn’t arrive until 9am! If you follow me on Instagram or Twitter you may know that everything went well and we already feel at home in our Melbourne apartment. 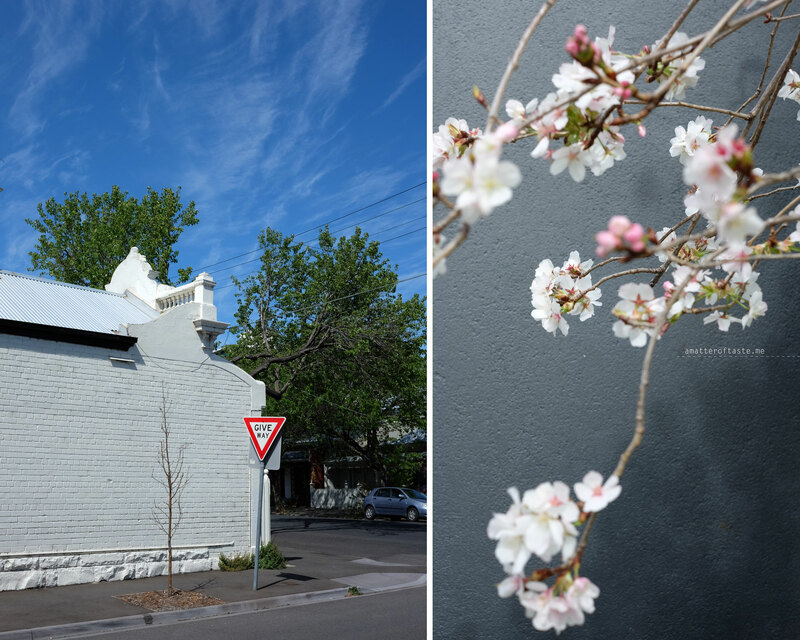 I’m quickly falling in love with our neighbourhood, nearby market and how gorgeous spring is down here (memory card in my camera is full of photos of flowers)! With that out of the way I’m back here, ready to talk about my food adventures, trips and new Melbourne discoveries. I can’t believe you had SO much going on during EDF. You poor thing! I hope your move to Melbourne is a great one for you both. Thanks for your kindness.